Click to read our breaking news! The PBA of Georgia CSRA Chapter along with Recruiting Manager Kris Jarvis and Recruiter Nick Meadows, presented CSRA Chapter Membership Chair Ryan Gregory a plaque in recognition for outstanding membership recruiting on behalf of the CSRA Chapter of the PBA of Georgia. Thank you to Ryan for all your dedication and support! This is a list of all of the endorsed candidates that the PBAGA has endorsed in 2018. We would like to congratulate each of these candidates on their endorsements and we hope to work with them into the future to help make the law enforcement profession better for our members. Please show your support for these candidates at the polls. The Georgia Police Benevolent Association is committed to keeping you informed of legislation that may affect your work-life, pay and benefits. The Police Benevolent Association of Georgia is committed to keeping you informed of legislation that may affect your work-life, pay and benefits. The Governmental Affairs department will be providing periodic updates on the actions of the Georgia Legislature while in session. Included is a summary of bills of interest introduced during last month, as well as updates on those reported in the previous reports. This is a list of all of the endorsed candidates that the PBAGA has endorsed in 2016. We would like to congratulate each of these candidates on their endorsements and we hope to work with them into the future to help make the law enforcement profession better for our members. Please show your support for these candidates at the polls. The Atlantic Chapter of the Police Benevolent Association of Georgia held a political screening for candidates running for various elected offices in the upcoming May 24th election. The North Georgia Chapter of the Police Benevolent Association of Georgia held a political screening for candidates running for various elected offices in the upcoming May 24th election. The Central Savannah River Area (CSRA) Chapter of the Police Benevolent Association of Georgia held a political screening for candidates running for various elected offices in the upcoming May 24th election. PBA of Georgia Three Rivers Chapter President Scott Gray recently spoke with the media in support of increased pay for Henry County police officers. Gray said that the Henry County Police Department continues to lose officers to other agencies that offer better pay and training/education incentives. The following bills in the Georgia General Assembly have had action taken on them. There are other bills of interest, but no action has been taken in committee yet. Sign Up for the Behind the Badge PTSD & Suicide Prevention Seminar! The Police Benevolent Foundation, Southern States PBA and Georgia Division of the Southern States PBA have partnered with In Harm's Way, the Warner Robins Police Department and the Houston County Sheriff's Office to educate law enforcement administrators, law enforcement officers and their family members about the hidden dangers of PTSD and its connection to the high rate of law enforcement suicide. HB 941 is the proposed bill that greatly alters a law enforcement officers right to be in grand jury. You will no longer have an absolute right to be in the grand jury throughout the presentment. You will be notified at least 20 days before the grand jury hears a presentment against you. HB 591 (POAB Funding) was tabled in the House Retirement Committee on January 15, 2016. HB 591 was introduced by Representative Bill Hitchens to shore up a stagnant Peace Officers Annuity and Benefit (POAB) Fund. To accomplish this, it would raise member contributions to $30.00 per month and add a 0.25% tax to all motor vehicle insurance premiums in Georgia. It is expected to fund a reasonable increase of the pension benefit for current and future fund members. Two PBA members and detectives from the Savannah Chatham Metro Police Department made the 130-mile trek to participate in the Augusta Race for the Fallen event. PBA Coastal Counties Chapter President, Rob Santoro and Coastal Counties Chapter Secretary, Rebekah Gregory made the trip to support the law enforcement community. This is a list of all of the endorsed candidates that the PBAGA has endorsed in 2015. We would like to congratulate each of these candidates on their endorsements and we hope to work with them into the future to help make the law enforcement profession better for our members. Please show your support for these candidates at the polls. The Central Savannah River Area (CSRA) Chapter of the Police Benevolent Association of Georgia (PBAGA) recently held candidate screenings for officials seeking office in the up-coming election for Augusta-Richmond County Commission. During the screening process Sean Frantom demonstrated why his experiences and values make him uniquely qualified to represent the voters of Augusta-Richmond County. He also demonstrated he is committed to making strong, effective law enforcement a priority, not only to properly invest in our law enforcement officers and agencies but also to keep our community a safer place to live, work, and play. That is why the CSRA Chapter of the PBAGA is proud to announce their support by endorsing Sean Frantom for District 7 Commissioner. On December 23, 2014 the West Central Chapter of the Police Benevolent Association of Georgia hosted their 2014 Blue Lights and Smiles community event. This interactive empowerment class covers a variety of useful and powerful techniques including kicks, strikes,defense from grabs, defense from weapons and defense from ground attacks. You can expect to increase your awareness and learn new skills. The seminar is made possible by the CSRA Chapter of the PBA of Georgia and Regions Mortgage, Space is limited, so don't miss out! Former Houston Circuit District Attorney, Kelly Burke, answers some of the main points of the law. This is a list of all of the endorsed candidates that the PBAGA has endorsed in 2014. We would like to congratulate each of these candidates on their endorsements and we hope to work with them into the future to help make the law enforcement profession better for our members. Please show your support for these candidates at the polls. Below is a list of all of the winning candidates that the Police Benevolent Association of Georgia, CSRA Chapter endorsed in Augusta-Richmond County. We would like to congratulate each of these candidates and we hope to work with them into the future to help make the law enforcement profession better for our members. 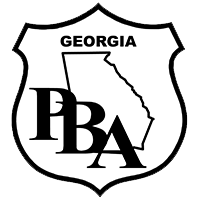 The Atlantic Chapter of the Police Benevolent Association of Georgia (PBAGA) recently held candidate screenings for those officials seeking office in the up-coming election. The September 25th meeting of the CSRA Chapter was held at The Foundation Club located across the street from the Augusta National Golf Club. The Middle Georgia Chapter of the Police Benevolent Association of Georgia (PBAGA) recently held candidate screenings for those officials seeking to become the Mayor of the new Macon-Bibb consolidated government. The 2013 Georgia General Assembly ended on March 28, 2013 after 40 legislative days. A total of 972 bills were introduced in the House and Senate. Much of the PBA lobbying time at the Capitol was successfully spent changing objectionable language in bills impacting our membership. The Police Benevolent Association of Georgia and the Southern States Police Benevolent Association are mourning the loss of one of their own. Sergeant Marcia Dell had been a member of the PBA since 1990. She started serving our organization as the Atlanta Police Department Chapter President in 2006 and then retired in August 2010. Marcia passed away on May 7, 2013. This bill amends OCGA 42-2-16 and 42-9-9 to allow certified corrections and parole officers with at least 20 years of honorable service to retain their department issued weapon and badge upon retirement. The 2013 Georgia General Assembly ended on March 28, 2013. The following bills have passed both the House and Senate this year. HB 55 has already been signed into law by the Governor. But the Governor has up to 40 days to sign or veto the other bills or they will become law on the effective date of the bill without his signature. March 1st was the 27th legislative day. Under normal circumstances, a bill originating in one chamber must cross over to the other chamber by the 30th legislative day to have any chance of passing this year. Those bills that do not pass this year may be held over until next year. The Georgia Legislature convened on January 14, 2013. It is in session for a maximum of 40 legislative days and usually adjourns in late March or early April. The primary focus is, of course, the budget. PBAGA Division Vice President and Flint River Chapter Secretary Benita Childs was recently featured on MySouthwestGA.com. Benita is a great asset to the PBA family and has been an active member of the PBAGA for over 10 years. Effective January 1, 2013 any officer that has not completed the minimum annual POST training requirements for 2012 will have their certification suspended. Find out more about what you need to do to get up-to-date with your POST training. On October 12, 2012 at 9:30 AM in a conference room at the Hilton Garden Inn in McDonough, Georgia, the Police Benevolent Association of Georgia gathered for their annual board meeting. The Police Benevolent Association of Georgia would like to recognize PBAGA member, Deputy Sheriff Jarvis T. Braxton for his accomplishments at the 2012 United States of America Police and Fire Games in San Diego, California on June 21 through June 23. This is a list of all of the endorsed candidates that the PBAGA has endorsed in 2012. We would like to congratulate each of these candidates on their endorsements and we hope to work with them into the future to help make the law enforcement profession better for our members. Please show your support for these candidates at the polls. The Second Term of the 2011-12 Legislative Session began on January 9, 2012. This session may last up to 40 legislative days and is anticipated to end sometime in late March or early April. The 30th Day is known as cross over day and is in theory the last day a bill can cross from one chamber to the other. The Second Term of the 2011-12 State Legislative Session began on January 9, 2012. This session may last up to 40 legislative days and is anticipated to end sometime in late March or early April. The Second Term of the 2011-12 State Legislative Session began on January 9, 2012. This session may last up to 40 legislative days and is anticipated to end sometime in April. Any bill that did not pass in the First Term may be carried over to the Second Term. The Police Benevolent Foundation, Inc. and the Georgia Division of the Southern States PBA are in mourning as one of their own, Officer Terry Mae Lewis-Flemming of the Albany Police Department, was killed after her car crashed into a tree during the apprehension of a criminal in Albany, GA on Friday, October 28, 2011. The First Term of this Legislative Session ended on April 14, 2011. Any bill that did not pass in the First Term may be carried over to the Second Term which begins January 9, 2012. This is a list of all of the winning candidates that the PBAGA endorsed in 2010. We would like to congratulate each of these candidates and we hope to work with them into the future to help make the law enforcement profession better for our members. The Second Session of the 2009-10 Term of the Georgia State Legislature began January 11, 2010 and ended April 29, 2010. The following bills of interest passed both the House and the Senate and are pending in the Governor's Office.